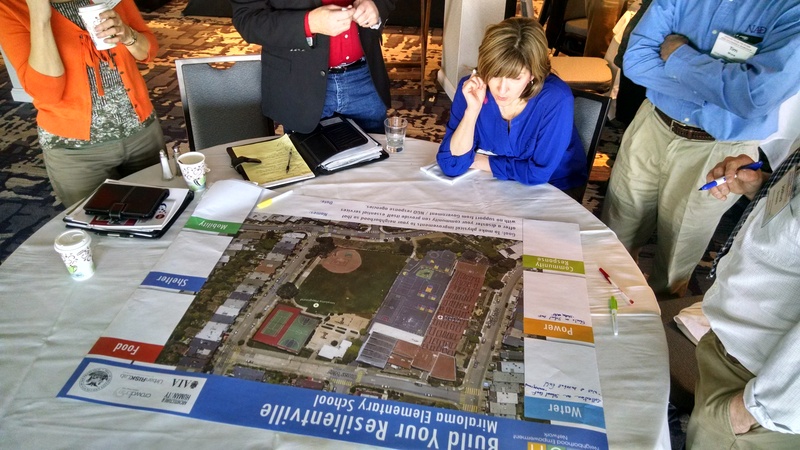 Attend a Resilient Noe Valley Launch Workshop. In 2018, a cohort of local organizations convened to launch the Resilient Noe Valley initiative. With the support of Sup. Mandelman’s Office, and a grant from the Walter & Elise Hass Fund, this initiative will provide the community with an inclusive planning process that will generate a Resilience Action Plan. This plan will guide the neighborhood’s efforts to invest in strategies that will protect the health and well-being of all residents during times of stress. A key step in this process will be the establishment of a HUB, which is a network of community-serving agencies that are committed to working toward their readiness, both individually and collectively. 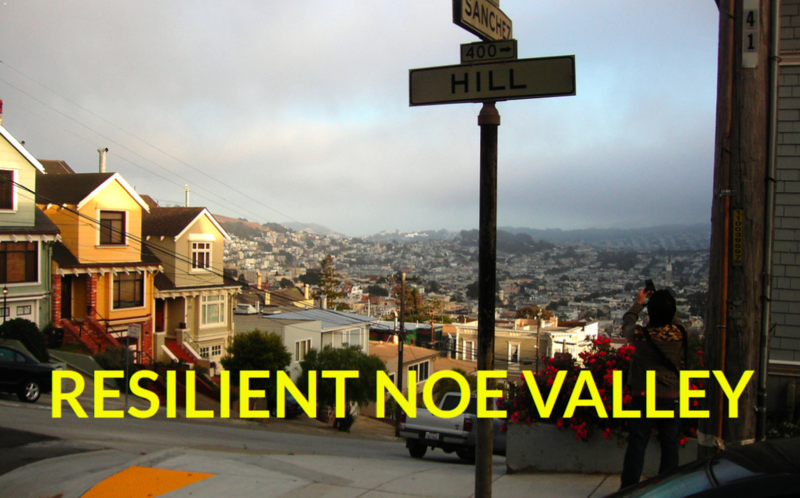 Announcing the launch of the Resilient Noe Valley Initiative! The Resilient Noe Valley Initiative is the hub of disaster preparedness efforts for our neighborhood. Noe Valley neighbors have grown increasingly concerned about the rise of fires and natural disasters across our State and our City, and we want to be pro-active in preparing for such events. Noe Valley Ministry at 1021 Sanchez Street. Attendees will learn about the background of Resilient Noe Valley, and how they can participate to create a customized roadmap to advance the resilience of our residents, their homes, local businesses, community and faith based organizations and the neighborhood at large. The Resilient Noe Valley (RNV) Disaster Preparedness Program was launched in 2018 with support of the Noe Valley Ministry (NVM) and Supervisor Mandelman’s office. Resilient Noe Valley has partnered with the Neighborhood Empowerment Network (NEN) to leverage its expertise in supporting communities to implement the Empowered Communities Program (ECP). The NEN has supported Noe Valley stakeholders in developing a Resilient Action Plan that will guide our disaster preparedness trainings and activities. In 2018, a cohort of organizations along San Francisco’s Noe Valley neighborhood reached out to Supervisor Rafael Mandelman’s office for support in creating a Resilient Action Plan (RAP) for their community. The Supervisor’s Office partnered with the Neighborhood Empowerment Network (NEN) to leverage its expertise in supporting communities as they draft and implement a culturally competent RAP. By implementing its Empowered Communities Program (ECP), the NEN will support Noe Valley stakeholders in developing a preliminary community engagement plan. This plan will outline the need to partner with surrounding communities in order to ensure that any plans that are generated accommodate all of the stakeholders in the Noe Valley district. Noe Valley is a friendly, diverse, progressive community comprised of families, seniors and people with varied socio-economic conditions that works in an inclusive, consensus-driven manner to ensure everyone’s day-to-day resilience goals are supported. During times of stress the community will successfully return to being a safe, thriving and more connected neighborhood whose treasured social fabric remains intact. Every resident has the capacity to care for themselves and their neighbors during times of stress. The faith-based organizations, businesses, non-profits and community organizations of the Noe Valley community have the capacity to support both the needs of their existing constituencies and emerging audiences during times of stress. The Noe Valley community has the capacity to respond collectively during times of stress in a manner that reflects the goals and priorities of its residents and stakeholder organizations. The Resilient Noe Valley Steering Committee is charged with crafting and implementing a resilience strategy in an inclusive, consensus driven manner that utilizes asset mapping, stakeholder engagement and the use of exercises and event production. The goal is to build a robust local cross-sector network of organizations and civic networks committed to making meaningful and sustained investments at the individual, organizational and community levels to ensure that Noe Valley remains a generous, thriving and equitable place to live, work and visit.